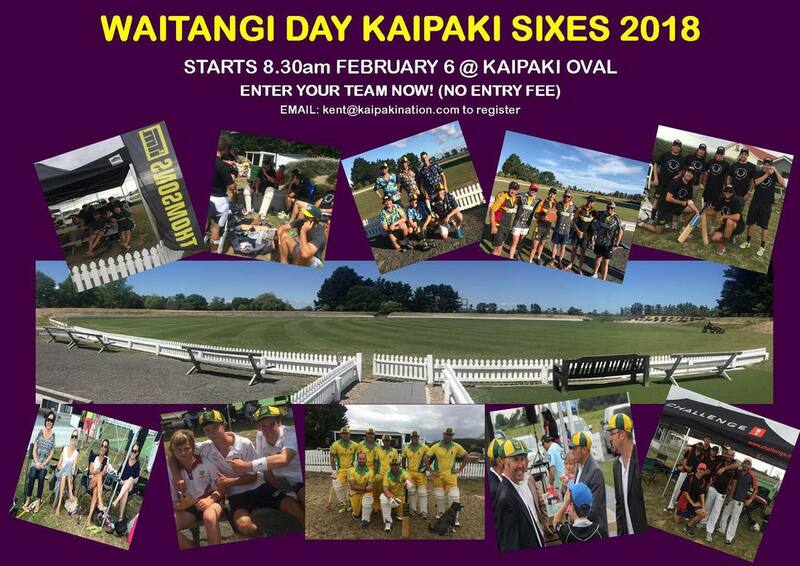 ​Next Sunday Kaipaki will travel to Auckland and play in the very first game of a new and exciting national cricket competition – the New Zealand Kindred Cricket Club Competition. 12 cricket clubs from around the country have entered into this competition. The clubs have been split into 3 conferences; Northern, Central & Southern. Attached to this media release is a document that explains the competition concept plus the fixtures schedule and points table structure. 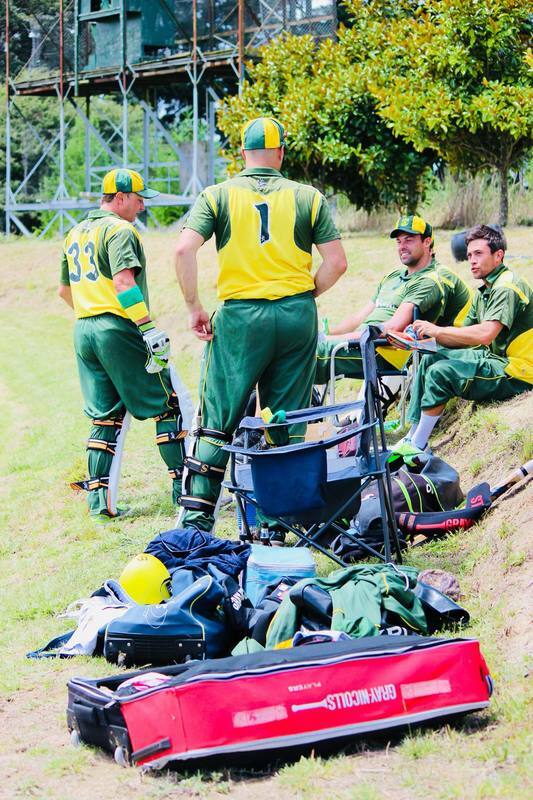 2018 – 2019 will again be another big season for the Baggy Green & Golds with 3 teams again competing in Hamilton Saturday Club Cricket. Kaipaki will again be playing a series of invitational games known as Kindred Fixtures. 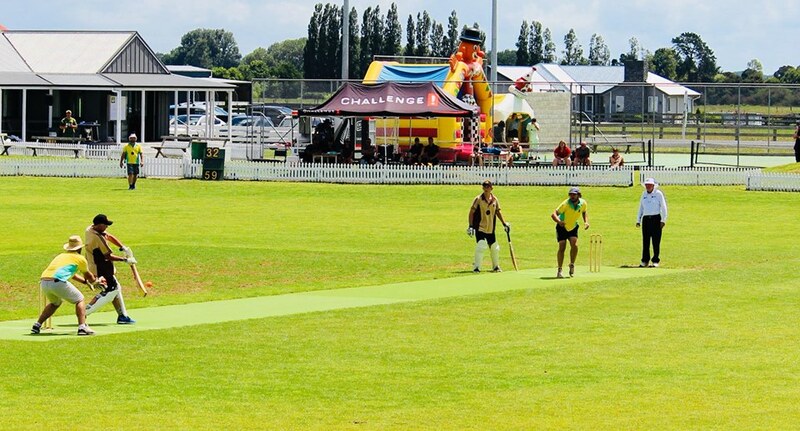 Not only will Kaipaki be playing in a national competition they will be playing many traditional annual games with the season finale against marquee rivals, Clifton CCC, who won the Greatbatch/Bradley Bat off Kaipaki last season. Kaipaki will be taking a touring party to Melbourne for the Boxing Day Test match between New Zealand & Australia in 2019. Please read the attached document that contains the itinerary for the tour. Costings and general logistics have been based around 20 touring members. There's obviously going to be a greater cost compared to other tours that we have been on - due to length and timing of the tour. 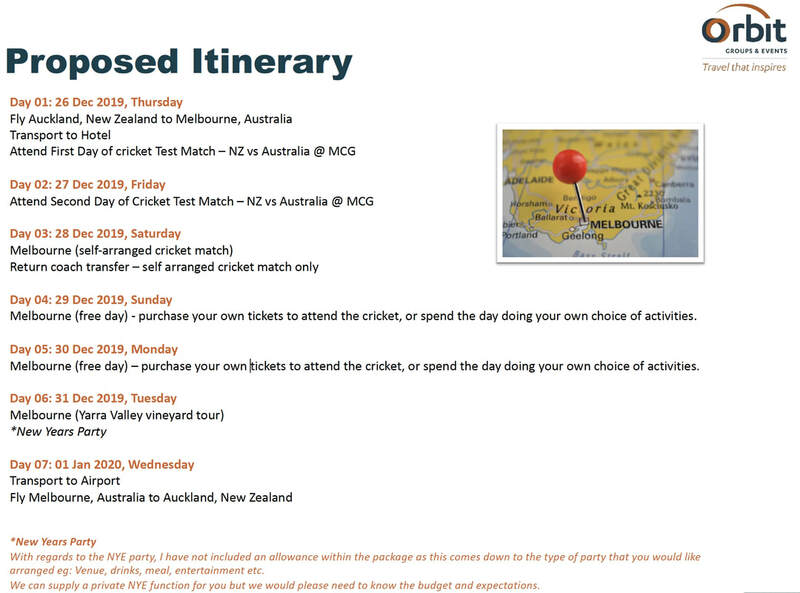 The reality is though, NZ haven't been invited to play in the Boxing Day Test Match in Melbourne since 1987 and who knows when we will play another one - in other words, it's a cricketing trip of a lifetime. It's a reason why this is being advertised now, so we basically have 15 months to save and plan. The tour has been designed to accomodate cricket enthusiasts that will tour by themselves but also cricket enthusiasts that will travel with their beautiful WAG. There's good flexibility in the itinerary so touring members are not restricted to the daily schedule. The itinerary includes the following: tickets to the Boxing Day test match, to play one game of cricket, free days to do your own sightseeing and other activities that may interest you, and also, to include New Years Eve in Melbourne. Can you please let me know by Friday 5th October if you'd like to be on this trip. 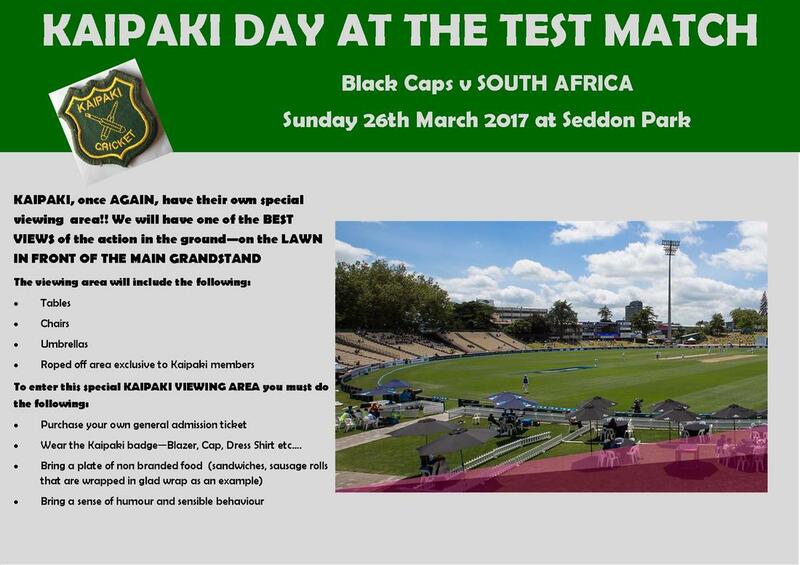 The Baggy Green & Gold will again travel to Clifton County Cricket Club and compete in the Clifton Cricket Carnival in January. After a successful trip two years ago Kaipaki will again travel and compete in a quadrangular tournament - the Clifton Cricket Carnival. Wellington Wanderers, North Bombay CC (Auckland), Clifton County CC and Kaipaki will again be playing in what will be fiercely competitive fixtures. Former NZ cricketers Matthew Sinclair, Lincoln Doull and Evan Gray were some of the names that came out of the woodwork two years ago and there promises to be more in the 2018 version of the Carnival. The Carnival will again be played at the magnificent Clifton Cricket Ground, which is featured in the cricket book – ‘Remarkable Cricket Grounds’ – which illustrates the best grounds in world cricket. Kaipaki would like to take a playing touring squad of 15 players. Like all of Kaipaki’s Tours, WAGS are welcome and encouraged to come along. The Cricket CALENDAR is online and also available for Download. The DRAW is also available online or to Download.